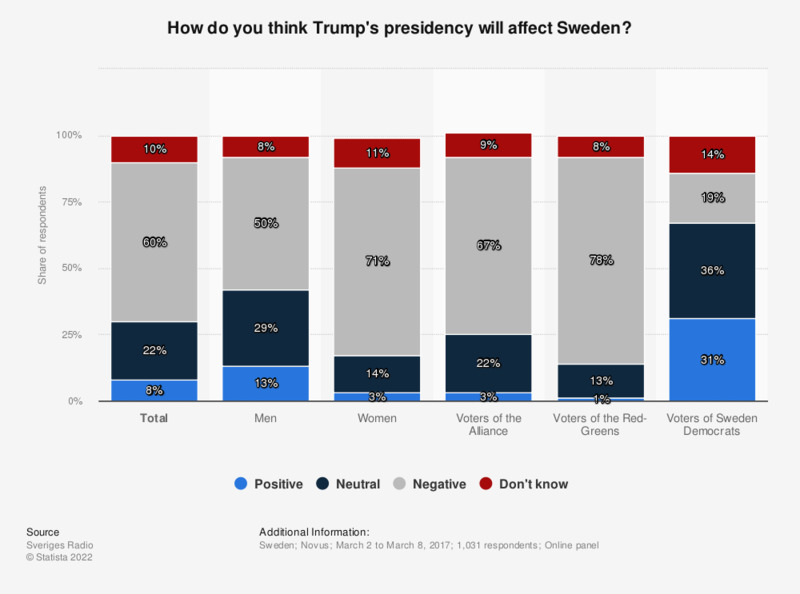 This statistic shows a survey on Trump's presidency affecting Sweden in 2017, by gender and political affiliation. During the survey period, 13 percent of interviewed Swedish men stated that Donald Trump's presidency will have a positive effect on Sweden. This question was phrased by the source as follows: "Hur tror du att Trumps presidentskap kommer att påverka Sverige?"